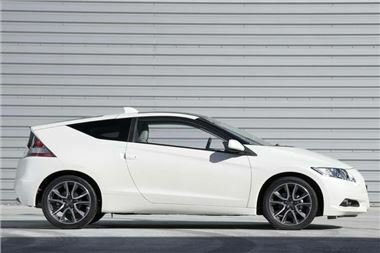 On Tuesday, the Honda CR-Z hybrid coupe beat tough international opposition to become Japan Car of the Year 2010-2011. This is the 11th time a Honda car has collected the prestigiuos honour - making Honda the most successful manufacturer in JCOTY history. The award-winning run continued last night, as the CR-Z scooped Eco Gadget of the Year at the Stuff Gadget Awards. The Stuff prize tops off a successful week for Honda’s great-handling hybrid. Last Saturday, two CR-Zs driven by Edd China and Honest John took part in the first RAC Brighton to London Future Car Challenge and were awarded Most Economical & Environment Friendly Sports HEV. The new honours join the What Car? Green Awards’ Best Sports Car trophy in the CR-Z’s already crowded cabinet. Martin Moll, Head of Marketing at Honda (UK) said: “What a week for the CR-Z! This has been a fantastic boost for the car and the range of awards shows the wide appeal of the CR-Z. It’s great to be recognised by a magazine like Stuff, and for it to be chosen as Car of the Year in Japan is a huge honour, especially when you consider the strength of the competition. The CR-Z is priced from £16,999 OTR and brings together a 1.5-litre i-VTEC engine, six-speed manual gearbox and Honda’s Integrated Motor Assist system to make a car that’s as fun to drive as it is efficient.